Payback is a dish best served wet. 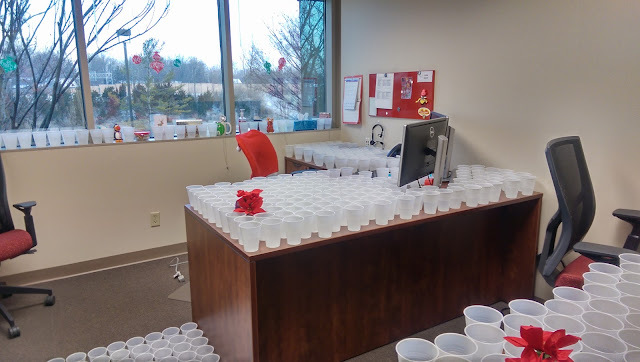 Imagine coming into work on a cold Monday morning with 900 cups of water containing over 28 gallons of water covering your desks, floor and even the windows sill. That's inspiration and dedication I've never witnessed before, way beyond the "let's toilet paper his cube" that led to this masterpiece.